1 Bedroom Apartment To Rent in Salford for £825 per Calendar Month. Something exciting just happened!!! 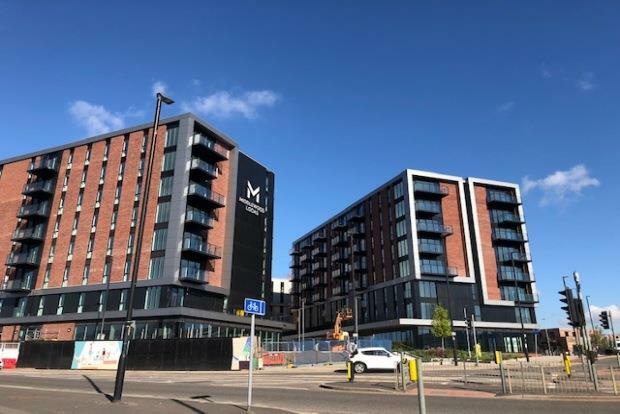 This brand new to the market one bedroom fully furnished apartment has just becaome available to rent in Middlewood Locks. Middlewood Locks is an exciting new waterside neighbourhood for living and working. Located next to Salford Central railway station in the heart of Greater Manchester, it offers community spirit with the buzz of a big city; a place to do business, and a new destination with shops, hotels, restaurants and bars, public open spaces and a beautiful waterfront setting. Spinningfields, the Central Business District of Manchester, is less than a 10-minute walk away. The apartment is elegantly designed and thoughtfully finished and is set to exceed any expectation. When entering the apartment you are greeted with a spacious hall way offering plenty of storage. The equally stunning open-plan lounge/kitchen is furnished to a very high specification and suitable for those with the very highest of standards. This space offers the perfect place to entertain guests, cook your favourite dinner or just relax with a glass of wine. Parking isnt included but can be added at an extra cost.